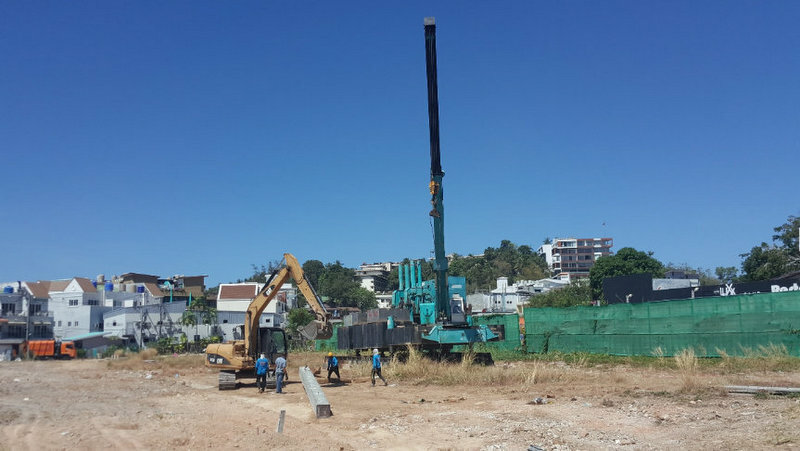 PHUKET: Six hotels to be built at the 15-rai Beach Plaza site in Kata have had their Environment Impact Assessments (EIAs) approved, and work on driving the first piles at the site are set to begin this month. 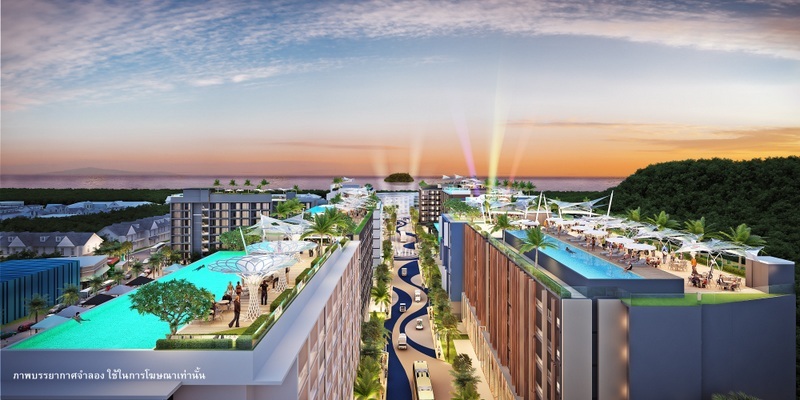 The news was announced by Watchara Jaru-ariyanon, Chief Executive Officer of Phuket property developer KW Plaza Co Ltd, and fellow KW Plaza Director Karn Prachumpan at the official launch of the project held at the Beach Heights Resort last Saturday (Feb 23). KW Plaza directors Mr Watchara and Mr Karn are already well known for their role in Phuket City Development Co Ltd (PKCD), which launched the Phuket Smart Bus initiative. Mr Karn is PKCD chairman and Mr Watchara is PKCD Executive Director. At the Beach Plaza launch last Saturday, the pair invited investors to take advantage of the Beach Plaza project. 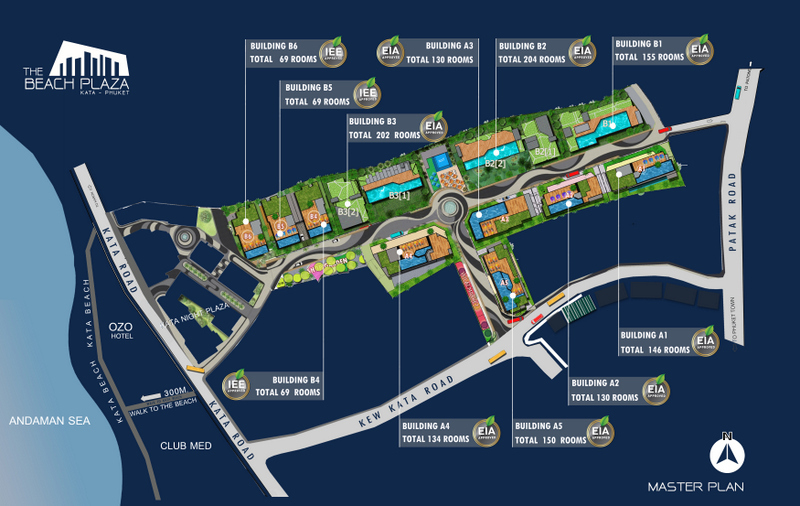 The master plan for the project includes 11 hotels located within the development. “We invite both Thai and foreign investors,” explained Mr Watchara. “The hotels are to be three to four stars, with each comprising from 76 rooms up to 204 rooms, each with full facilities. Our plan supports investors who have different budgets. The total project value is about B5.5 billion,” he said. 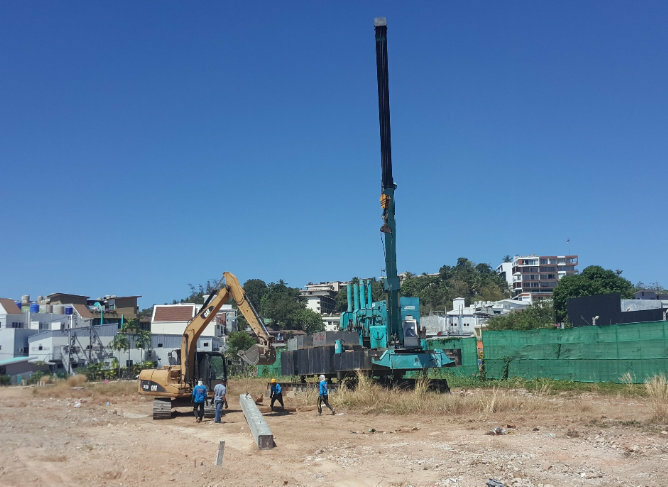 The project is situated in a prized location in the heart of the Kata area, which can be accessed by the three main routes through the popular tourist haven. 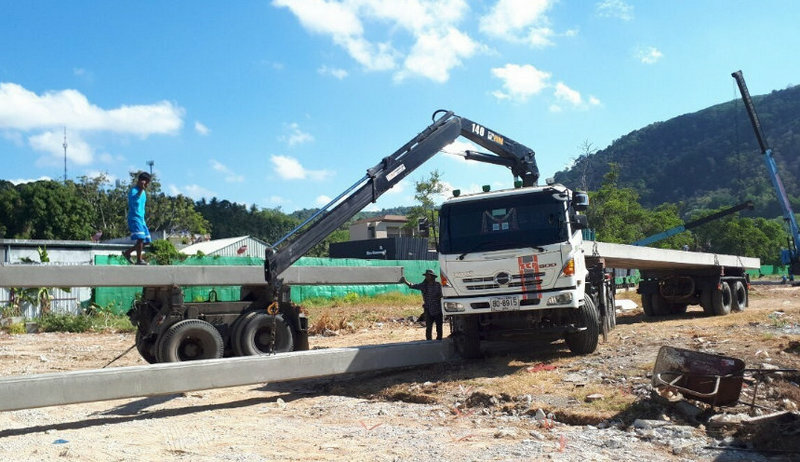 “It is beautiful land in a prime area and the project will become a new landmark of Kata Beach, which is suitable for a hotel development area,” Mr Watchara said. The investment is divided into two phases, he explained, with the first six hotels already approved their EIAs. 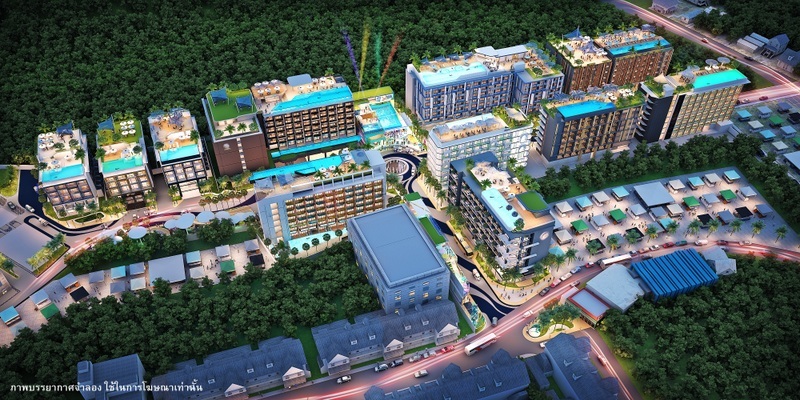 “Three of the six hotels approved can be used to develop three small hotels of about three stars, each with 76 rooms, a rooftop pool, parking, restaurant, lobby and a recreation area,” he said. “We are ready to provide opportunities to three types of customers to join the investment group: 1. Groups with no previous experience in hotel business; 2. Groups that have had some business experience, such as guesthouse and apartment operators that want to upgrade to a standardised hotel business; and 3. Experienced customers who want to expand their locations to do business in the Kata area,” Mr Watchara explained. 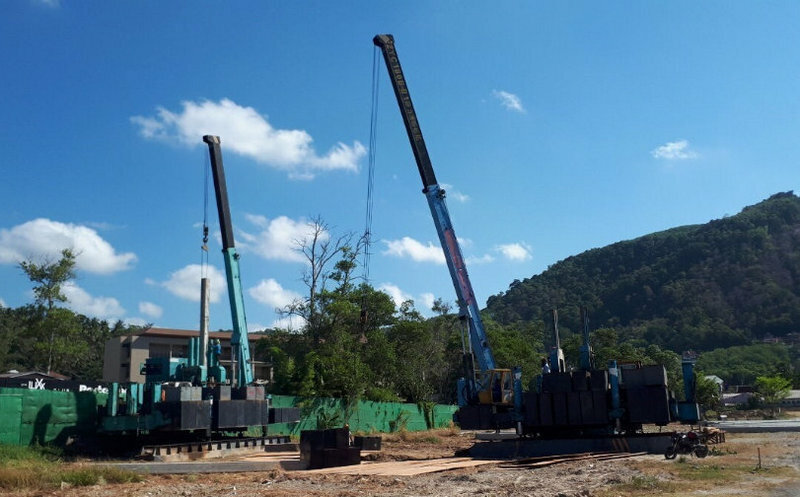 “We have two Thai investors and one foreign investor interested in the project with terms already under negotiation,” he added. The project is to see about 1,500 new rooms added to the area’s inventory, he noted. “The project has been designed under the concept of smart hotels with modern innovation to extend the customer base to create a cost-effective business with the slogan ‘Smart Hotel Smart Rewards’,” he said. 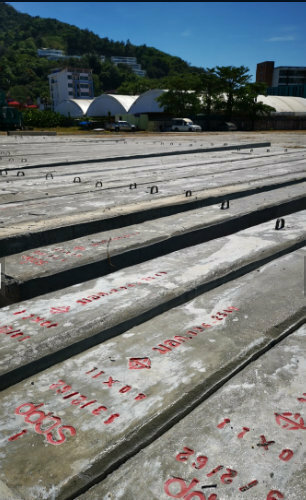 “Phase-by-phase construction continues using leading contractor companies with modern construction technology and quality materials. People can keep up to date and monitor the project development progress via the website,” he added. Mr Watchara said that KW Plaza expects all investment opportunities in the project to close before the high season starts in December 2020.